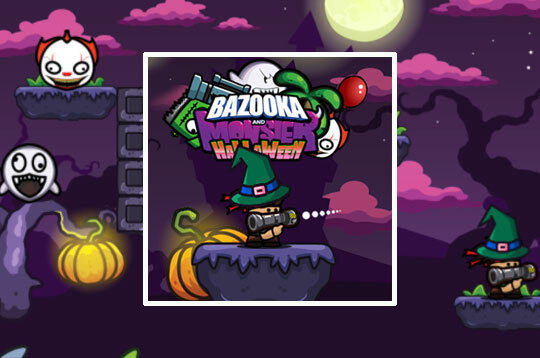 In Bazooka and Monster 2 destroy all monsters with your super powerful bazooka in this Halloween game! Use all your skills to destroy all monsters and save mankind. To reach your goal make a good aim to destroy all your enemies! - Play Bazooka and Monster 2 Halloween Free and Enjoy!